Prairies (often wet), wet meadows, open borders of marshes and swamps; rarely seen. The yucca-like leaves, with remote spines along their margins, are unlike those of any other native species in Michigan. 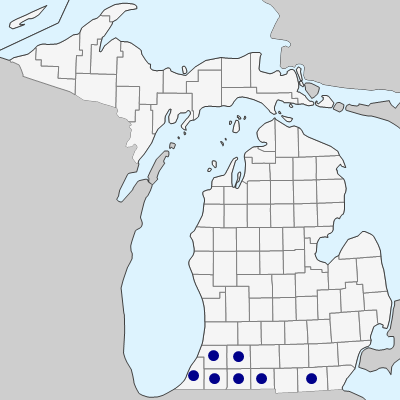 Although apparently native in the Oak Openings region of Ohio, the southeastern Michigan record, from Lenawee Co. has spread from plantings.Similar occurrences, even as far north as Leelanau Co., are also from prairie plantings, of which this is a favorite component, despite being native in only a tiny portion of the State. MICHIGAN FLORA ONLINE. A. A. Reznicek, E. G. Voss, & B. S. Walters. February 2011. University of Michigan. Web. 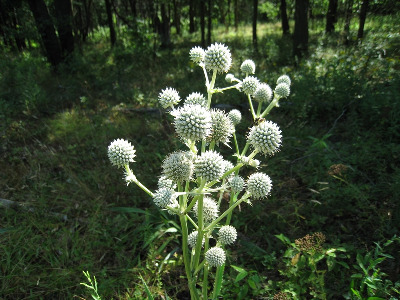 April 26, 2019. https://michiganflora.net/species.aspx?id=122.